Do you ever have a moment with your little ones and they begin to ask, “where did I come from?” “How was I born?” “How did I come to be?” Perhaps the story of your child’s beginning was visioned in a waking dream. I hear stories told many times over from men and women about how they knew they were going to become a parent and how this child visited them in their dreams first. As we grow into adults, these are questions we continue to ask ourselves. Our curiosities have not dulled one bit, but rather the self-reflection and questions go deeper than our physical bodies can comprehend. If we are fortunate enough to grow up with elders who have the memory to help us go back to our ancestral beginnings, we have the opportunity to dig deeper into our roots and see all the connections to universe that we have. This knowing gives us meaning and purpose and suddenly the transformation happening daily in our physical bodies is only one small piece of what is happening on a spiritual level. 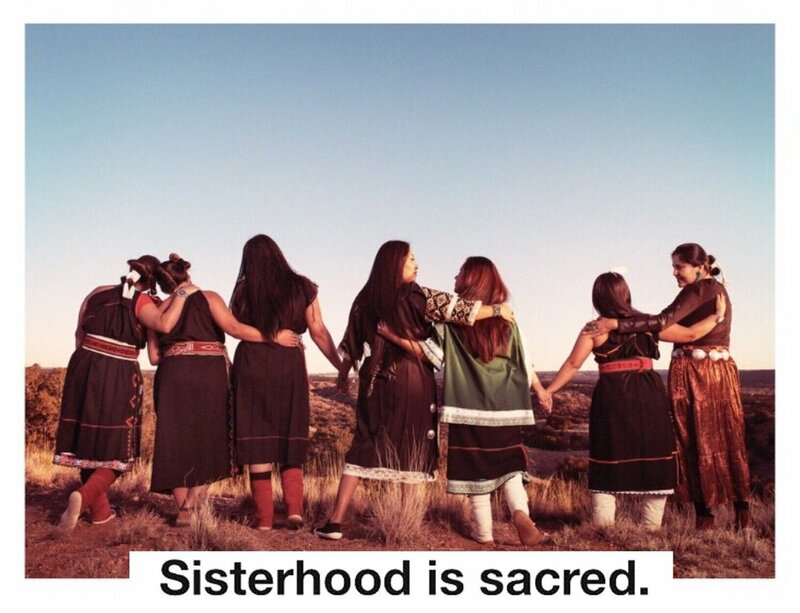 Falling in love with our stories is about this and the relationships we have with all our relatives, as they are connected to the life we bring forth in our wombs as women. Our eggs, like seeds carry the stories of our ancestors and if you think about it, the conditions we live in can bring out certain traits in, which some might call this our blood memory. It’s important as mothers to go back to our ancestral stories when a medicine child is growing in our wombs. Your blood memory might even be pushing you towards asking questions of your mother, grandmothers and aunties. Where was I born? What did you eat while you were growing me? Did you go through any ceremonies to protect me? How did birth feel? Was I born at home? These questions come to all of us when we become mothers. Like our community and tribal creation stories, our birth stories are an important piece of our development. Falling in love with our stories also means digging deeper into our ancestral knowledge around healing, ceremony, plant medicines, language, and our relationship to our eternal mother, the earth. On this journey, a deeper knowing will take root, that all of these things are supporting the growth and development of your medicine child, that you as their mother has a responsibility to all of these teachers as well. This is where the wisdom lies in our stories, inlaid with ancestral teachings for us to take in like food for our spirits. As you embark on this journey of falling in love with your ancestral stories of life, resilience, and harmony, make sure to give offerings daily for the exchange happening. These stories have a life of their own, they are living, breathing webs of energy and vibration-retold through our sacred breath, honor them with prayer. Being born is not the beginning. Life begins months before the time of birth. And she is careful not to go near noisy or evil places. She will not cut meat or take part in the killing of food. Navajo babies were always protected in these ways. For strong lungs and steady growth. The bellybutton dries and falls off. Will always return home and help its mother. It has been this way for centuries among us. And to talk and sing to the baby softly and in the right way. Lots of food, and relatives laughing. Everyone passes the baby around. And will always be surrounded by lots of relatives. It has always been this way for centuries among us. On top of her head and on her tongue. Listen quietly, and learn well away from home. This child leaves home with prayers and good thoughts. This is how we were raised. Because it has always been this way. It has worked well for centuries. You are all her together. And our own lives as Navajos we carry the us all the time.